What is an Ambit Cares Volunteer Week? 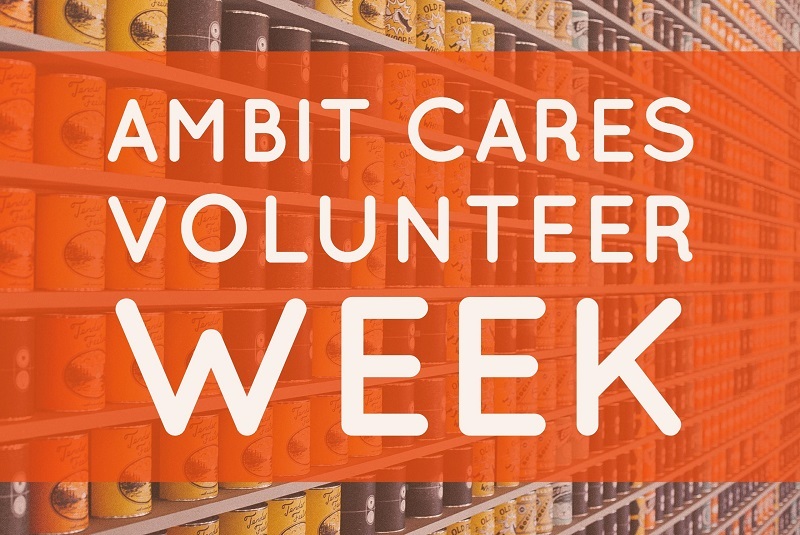 During an Ambit Cares Volunteer Week, we ask our Consultants to get involved by volunteering at or donating food to a hunger relief organization in their local community. When is the Next Ambit Cares Volunteer Week? For a list of upcoming Volunteer Weeks, please visit the Ambit Cares Volunteer Events section on our website. We ask that you organize a volunteer activity at the hunger relief organization of your choice. This can be at a food bank, food pantry, community garden or any other organization that works to alleviate hunger. How Do I Find a Place to Volunteer? There are many ways you can find an organization in your community where you can volunteer. You can do a Google search, use online tools like VolunteerMatch.org or search for Feeding America network food banks in your area. Many organizations require volunteers to book their activities weeks in advance, so don’t wait to contact them. How Do I Get Credit for My Participation? Use the Volunteer Completion Form to submit a photo, record the number of hours you volunteered and/or the quantity of food you donated (calculated in pounds).